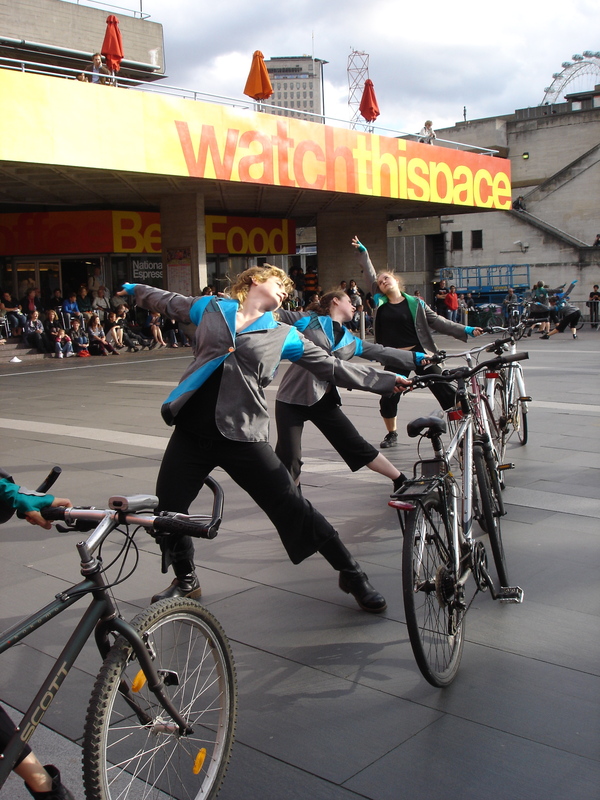 The Bicycle Ballet company creates exhilarating outdoor dance performances on bikes, exploring the joyful highs and gritty lows of cycling. The choreographies fuse dance and physical theatre with visual spectacle, comedy and striking soundtracks. The work is created for outdoors, to cross the boundaries of art, sport, health and environment; to attract the widest range of audiences or passers-by, and to transform familiar environments into places of discovery and magic. But, at its heart, its all about the bike. Expressing the freedom and fun of cycling, and exploring people’s partnerships with their trusty steeds.